Shockwave therapy is a well-researched, non-invasive way to stimulate the healing process for sports injuries, or tendon problems that are slow to heal. 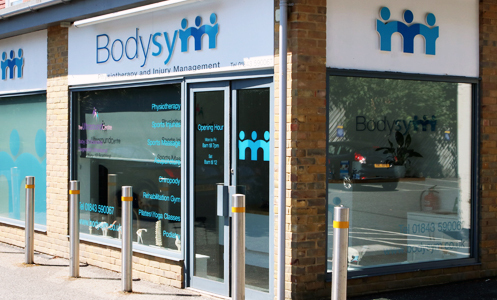 We’ve been using this leading technology to treat chronic conditions at Bodysym since 2017 and have seen excellent results. 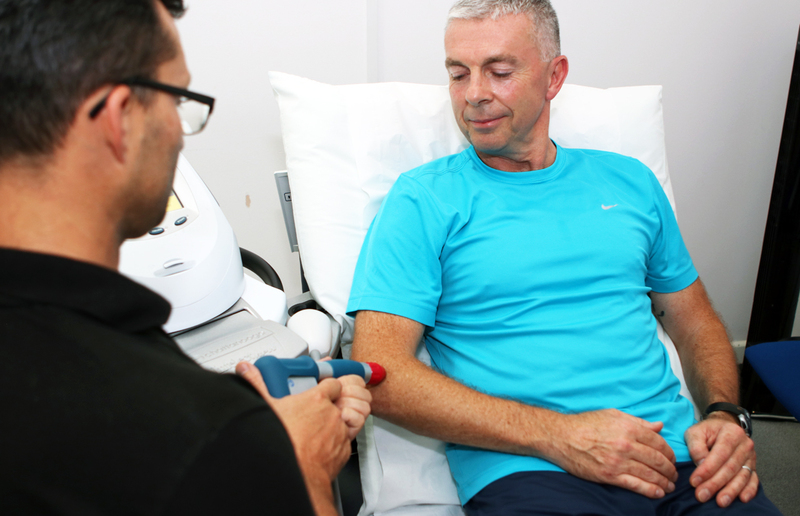 The machine creates energy using mechanical movements which send out pressure ‘shockwaves’ against the skin. It incorporates the same technology as is used to break down kidney stones. The process can feel slightly (but not majorly) uncomfortable and there are real benefits. By closely targeting affected areas, shockwave supports and stimulates your natural healing processes. The machine’s hand piece sends intensive pulses to your affected area that help inhibit the transmission of pain. The pulsing vibrations promote blood flow through the tissue which encourages healing and boosts metabolism. Shockwaves help to reduce the impact of pain on muscle tone. Book an individual Shockwave session to give it a try. Or you can opt for the more cost-effective 3-session package.